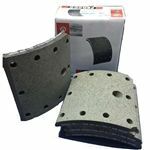 Sulzer Loom Projectile Brake Lining Yg Make. Parker Pcp Auto Components Pvt. Ltd.